I client of mine sent me a message earlier this week that really put things into perspective, she said “You have no idea what an inspiration you have been to all of us… your faith, perseverance and acceptance has helped many of us during difficult times” this past year. That’s the point right? To inspire and give people the tools to overcome the challenges that come their way. I was so happy to see that, but most importantly I was happy to see that every single day these past couple of weeks we’ve seen glowing examples of everyday people coming to the rescue of others. People who didn’t share much of anything in common have come together in the face of Hurricane Harvey to help one another in their greatest time of need. We’ve witnessed the best of humanity in the wake of these natural disasters. Celebrities and athletes have used their social media platforms to step up and donate time and resources to help others rebuild their lives. The unsung heroes (the normal, non-celebrity types) have been the real stars through all of this; they showed up with their big hearts and have gone deep into the trenches to lend a helping hand. As we brace for a new hurricane we will continue to see more heroes, more selfless helpers that will rescue and give hope to the hopeless. Recovering lost property and lost possessions and rebuilding entire cities is only the beginning. The true and hardest work of recovery will be in the minds of everyone affected by these storms. Without a spirit of resiliency, hundreds of thousands of hurricane victims will remain victims — regardless of whether they rebuild a house or regain all that they lost during the storm. Resilience is one of those traits that you can see easily in the eye of a child that is learning how to walk — they keep falling down over and over again, but they keep getting back up and trying again. They haven’t been conditioned to make excuses, they haven’t learned to wallow in the past, they haven’t learned all those bad little habits we pick up along the way. They just keep going until they get it right. If there’s one thing I pray for my friends, family and clients is for them to have resilience. 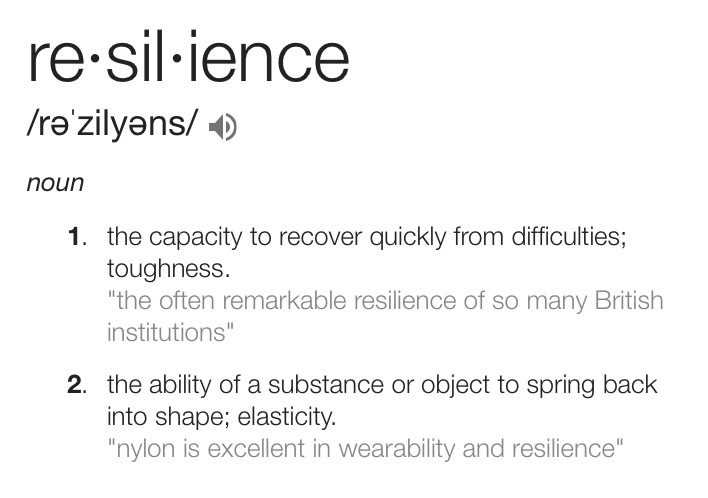 Resilience will carry you through so many setbacks and failures. 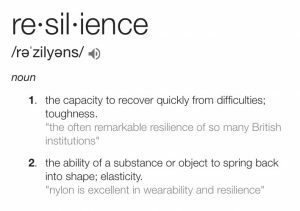 Resilience will carry you through a cancer diagnosis, a career loss, a divorce, and even a Category 5 hurricane. Resilience will break down any self imposed barriers so you can be free to break down the real barriers. So go ahead and flex that resilience muscle and be the hero your co-workers, friends and family need today. No natural disaster nor major setback can hold you back unless you give it permanence. So step aside Harvey! Stand down Irma! There’s a new tough kid in town…. the new resilient YOU! In 1995, Mercedes Ramirez Johnson narrowly survived a commercial airplane crash that killed 160 people, including her parents. As one of only four survivors of this tragedy, she vowed that she would make her second chance at life count…and that she has – not only for herself, but also for the tens of thousands of people who have heard her story and her message.